The current economic environment has forced unprecedented challenges and business issues upon every element of the real estate development industry. 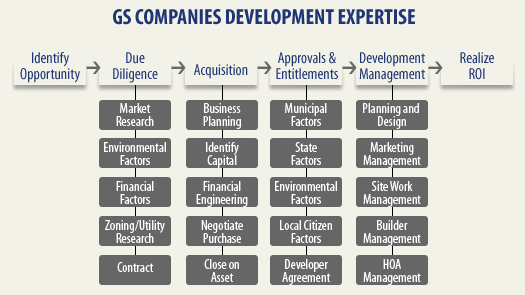 GS Companies is uniquely positioned to serve Banks, Private Equity, and Institutional Capital Sources in a variety of value added development services. Unlike other firms, GS Companies has combined a very broad and deep experience base within a highly efficient and focused organizational structure, enabling the firm to quickly assess an asset’s potential, formulate a strategy, and add value regardless of asset life cycle stage.